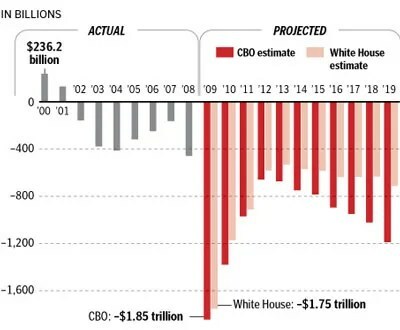 And Obama Has The Guts To Talk About Bush’s Deficit? And remember, this does not include the, roughly $58 Trillion in un-funded liabilities such as Medicare. But the numbers do include two wars, and a string of money to rebuild after hurricanes, wildfires, and other natural disasters.